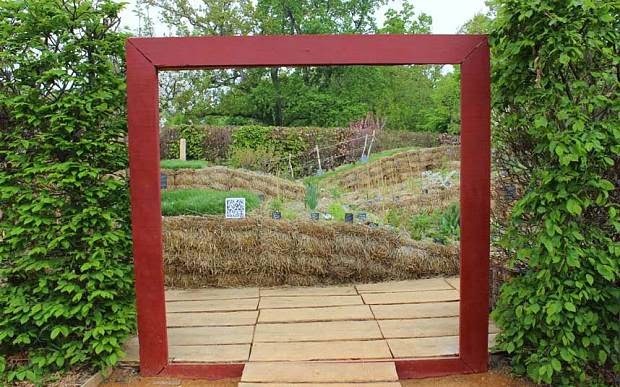 It all starts with the humble straw bale... providing a revolutionary way of growing; enabling the gardener to create their own vegetable or flower garden from a mere bale of straw! 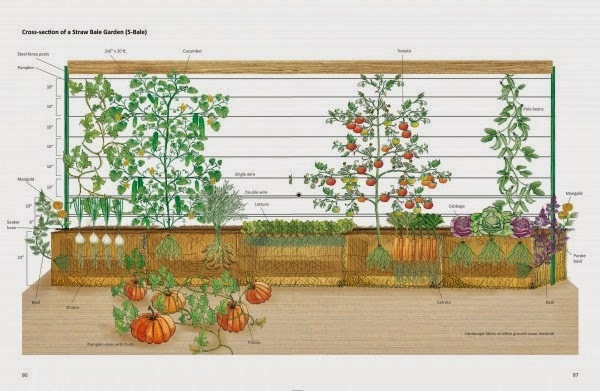 No matter what the size of garden is, this method of growing can be adapted to suit any size of plot; from a small balcony garden to something much bigger. If this concept has grabbed your attention as it did mine, you'll be pleased to know that due to the massive success of his first book on the subject, Joel Karsten has now written the second instalment "Straw Bale Gardens Complete" - providing readers with everything they need to know about straw bale gardening (SBG). An incredible and inspiring subject for any gardener - this book is based on both the author's own experiences and that of his many readers across the globe. 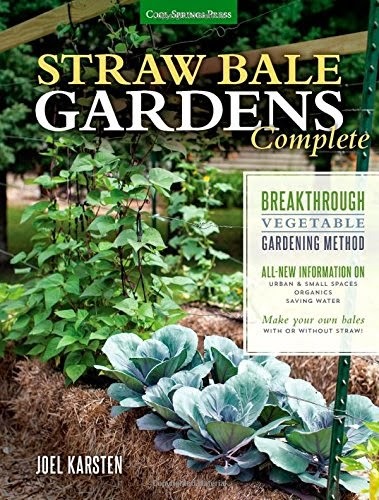 Joel has spent the past 15 years experimenting and perfecting this method of growing and in this amazing new book, takes you through the whole process with easy to follow instructions supported by great photography and illustrations. Essentially SBG is based on the notion of using bales as a medium which is conditioned to become an excellent rooting environment in which to grow a wide variety of vegetables and flowering plants – and if (as it is) it’s a suitable basis on which to create a show garden at Chaumont in Paris last year, then maybe this is something to take very seriously indeed. The process behind this is that you take your straw bale and turn it on its side with the spiky ends of the straw uppermost. The next stage is to treat the straw with a high-nitrogen based fertiliser - there are plenty of organic options here and this helps to accelerate the decomposition process within the bale. Following this application, the straw needs to be watered heavily for 12 - 18 days. As well as soaking them using a hose with spray attachment, the way that is suggested in the book is via a drip feed hose that can be attached the full length of your bale. This will also help with on-going watering once your bale is planted up. I have talked about straw bales in the singular here and unless you only have a small garden, I'm sure you'll prefer to use a number of bales to create your straw bale garden with! 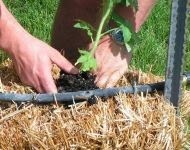 Once decomposition is properly underway, as with a traditional compost heap, a good deal of heat is created from your bales which offers ideal growing conditions for germinating seeds or encouraging good root development in young plants, enabling you to start off your vegetable patch earlier than normal. 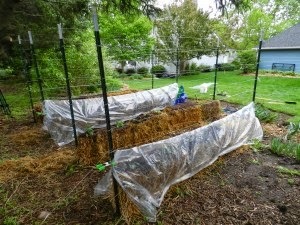 Your bale should now be ready for planting - either by using plants or sowing seeds. If sowing seeds you need to apply a layer of potting compost to the surface of the bale so that the seedlings can first become established whilst plants are planted directly into the bale. 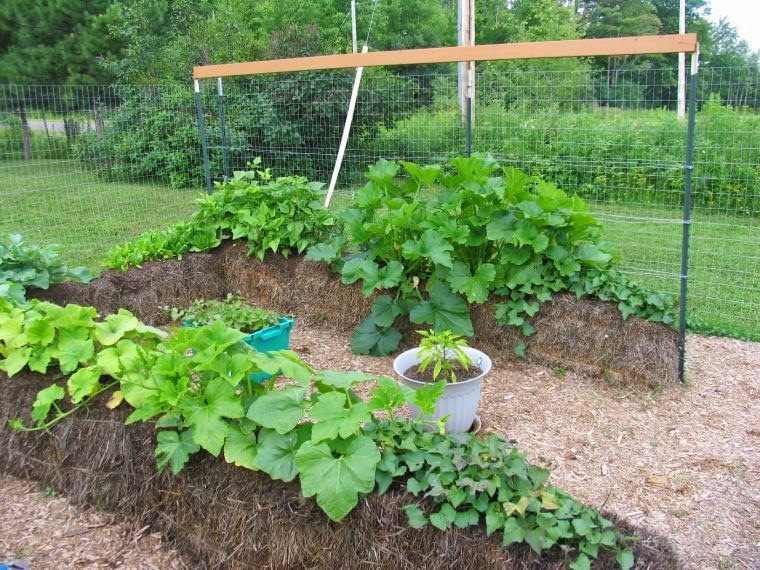 The straw bales can be positioned in a row with fencing posts at either end and a series of wires above the bales at different heights to provide a structure to support taller plants or for climbing plants such as beans, peas and some of the squashes. Whilst seedlings germinate and as your young plants establish, you can also utilise one of the lower wires on the framework to support a polythene sheet so you can protect your seedlings over night or during colder days. The book goes into a huge amount of detail, with endless helpful suggestions on how best to set this up, and so for the purpose of this article, I'm not going to go into any further detail as this will hopefully encourage you enough to go out and buy the book! If you're up for a new challenge and something to get the neighbours talking (in a good way! ), why not give this a go. It's a great time of year to think about this whilst planning all the exciting seeds and plants that you hope to grow in 2015. At the end of the growing season you'll hopefully have a wonderful selection of your own vegetables along with a good pile of composted straw to add to other areas of the garden, or to your compost pile providing an ideal home for hibernating hedgehogs and sloe worms amongst other things. This excellent and informative book is available at the following link on Amazon UK - Happy growing!